“They eventually got to the point where they couldn't live without the medication,” Paulozzi said. He said most patients don’t set out to break the law, but becoming addicted to prescription medication will lead them in that direction. For instance, a patient may ask for a higher dosage than a doctor recommends. When the doctor won't prescribe the desired amount, Paulozzi said some patients will look for another – and another – opinion. “They windup in a situation going to multiple doctors,” he said. But illegal drug possession isn’t the only risk. Prescription drug overdoses accounted for 16.3 deaths per 100,000 people last year in Missouri. 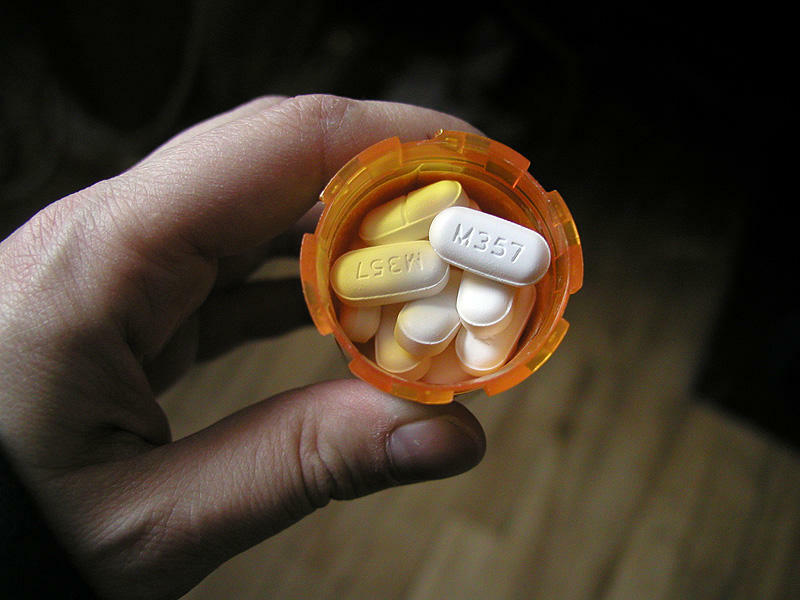 The state is in the top third for most prescription drug related deaths, according to the CDC. To keep patients safe and prevent crime, most states have adopted a prescription drug abuse monitoring program. 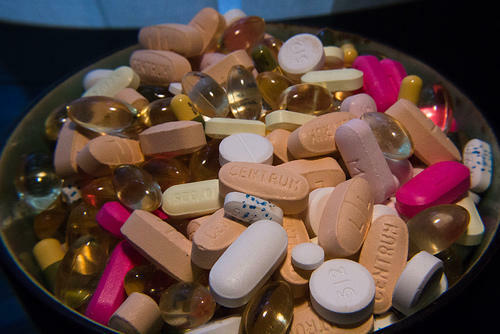 It’s a truthful record a doctor can consult of all of the drugs a patient has been prescribed. That way a patient can’t lie about their record, if they’re abusing pills or selling them. The program may help doctors provide better care. 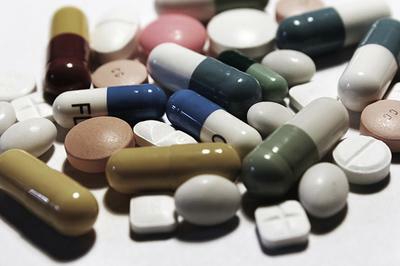 John Eadie, the director of the Prescription Drug Monitoring Program Center for Excellence at Brandeis University, said doctors are reluctant to prescribe anything to a patient they think may be withholding information about their medications. “It’d be like a pilot flying blind, with no radar, no instruments and no visual sighting,” Eadie said. Sen. Rob Schaaf, R-St. Louis, said he didn’t agree with the comparison. He’s a family physician. He has opposed some parts of the program because of privacy concerns. Schaaf said doctors provided good care before the programs were adopted. 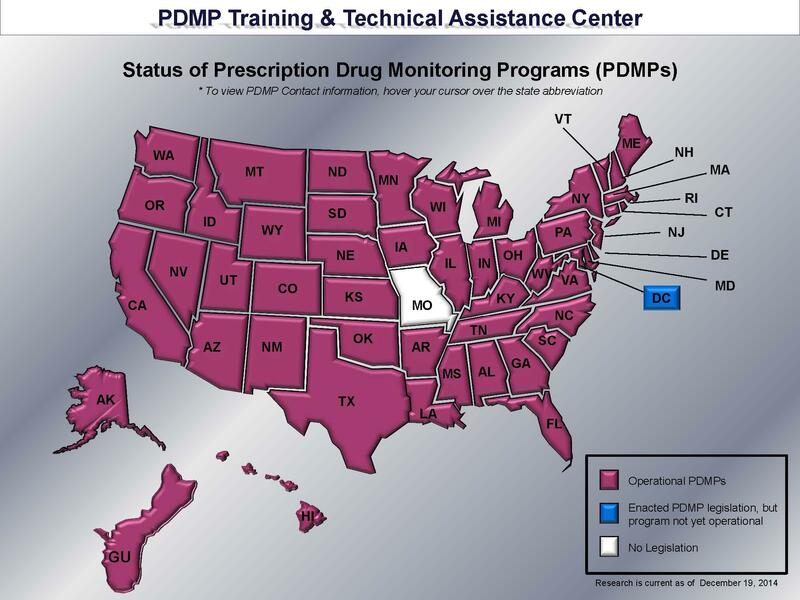 49 states have adopted prescription drug monitoring programs since 2005. That’s when the federal government adopted a grant for electronic monitoring. The District of Columbia is developing one now. Even Guam has one. The one state that doesn’t? Missouri. Although, that isn’t for lack of trying. A 2012 bill that would have developed a prescription drug monitoring (PDM) program was filibustered in the Missouri Senate. Last year, two competing bills were introduced to create a program, but they both failed to make it to the governor’s desk. Sen. David Sater, R-Cassville, said opposition came from privacy fears after state conceal and carry permit information was sent to the federal government in a scandal in 2012. “This caused a great concern among myself and other senators and representatives about the security of the data. Because of that there was apprehension about a PDM program that would be storing personal data on prescription drugs,” he said. Sater filed a new bill this year to start a program in the state. He said there’s a better chance this one will pass because he’s planning on bringing in experts and lawmakers from other states to quell any privacy fears. Nonetheless, Schaaf said he will remain consistent in his opposition to a bill that allows doctors and pharmacists to have access to the program’s information. He said he would filibuster another bill if it isn’t opened for Missouri citizens to vote on. In addition, he would limit access to the prescription drug information to the state’s Bureau of Narcotics and Dangerous Drugs. The Drug Take Back Program is collecting prescription drugs today in Columbia. Ryan Worley, Coordinator of the Youth Community Coalition, is in charge of the program. He said unused prescription drugs can sometimes be accessible to and abused by family members if they are not disposed of properly. “These are not safe to abuse. They are drugs they are powerful, and they should only be taken the way a doctor prescribes them,” Worley said. The Missouri Senate has endorsed legislation to renew an expiring prescription drug benefit for over 200,000 low-income and disabled seniors. The Missouri Rx Program is scheduled to expire in August, but the measure endorsed on Wednesday would extend the benefit until 2017. 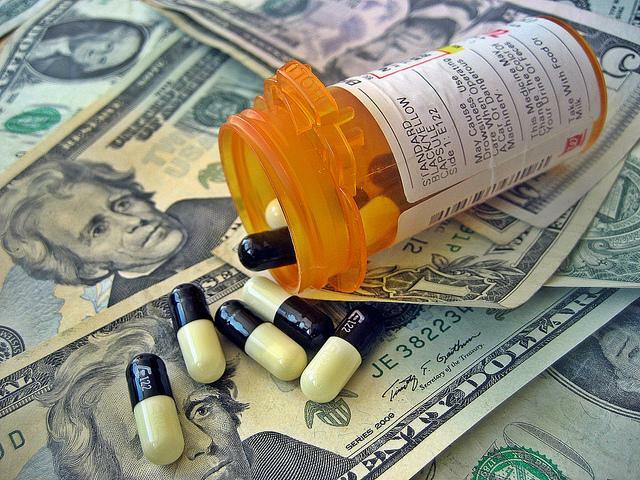 State officials estimate more than 9 million prescription drug claims will be filed for 230,000 Missourians during the current budget year. Democratic Gov. Jay Nixon has called on lawmakers to renew the program.